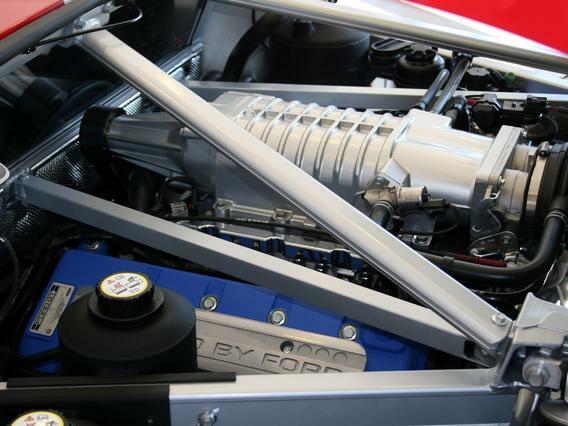 Lysholm Twin-Screw supercharger systems are available from Vortech authorized dealers. Lysholm® Technologies develops and manufactures highly efficient Twin Screw Compressors for supercharging internal combustion engines in automotive and marine applications. The products meet the standards set by OEMs and aftermarket suppliers. Lysholm® Technologies is one of the leading players in the field of supercharging engines, offering solid market solutions based on extensive expertise within the industry. The Twin Screw Supercharger was invented by Mr. Alf Lysholm® in the 1930's, who was then Chief Engineer at Svenska Rotor Maskiner AB (SRM). The twin screw design was developed to replace dynamic type (centrifugal and axial turbine) compressors, for boosted engines. Lysholm® Technologies was founded in 1995 and has since, been working with the development of superchargers for improvement of power and torque on internal combustion engines. This development led to a supercharger which was compact and lightweight with increased efficiency for operating conditions of pressure and speed. The Lysholm supercharger of today features several patented aspects, including rotor profiles and bearing arrangements. Lysholm® is now an AirPower® Group company along with Vortech Engineering, Paxton Automotive and Vortron Industrial. Multiple OE customers have successfully completed extensive and brutal evaluations of the Lysholm unit prior to their incorporation into their products. Among those companies are Mercury Marine, Ford Motor Company - with its prestigious Ford GT- and Mercedes-Benz, who has licensed this twin-screw technology for its AMG line. The OE process included a durability study where the compressor successfully completed 300 test cell hours at full throttle plus additional tests that proved the increased power and torque would not sacrifice fuel consumption or emissions levels. The subject of product testing and accurately assessing performance characteristics is paramount to Lysholm’s quality mission. As with Vortech products, Lysholm tests all supercharger products resulting in accurate performance maps. Over the years, OE development engineers have found these maps essential to matching and optimizing supercharger – engine combinations, and obtaining absolute best performance, economy, and durability from their powertrains. Further, cell testing has proven crucial in the product development cycle, as validated by the numerous, patented features and improvements already mentioned. Many would consider this level of testing and availability of performance data to be “standard” for a well-engineered product. Lysholm quality assurance, assembly techniques and testing have translated well on US highways as documented with a recent application in which a Lysholm Model 1600 compressor logged more than 200,000 miles on a GMC Yukon. The owner was so impressed with the durability and performance of the unit that, when the original engine was replaced, the supercharger was reinstalled and still delivers the boost. Beware of imitations. Lysholm is the source of the twin-screw, positive displacement compressor technology for automotive and marine applications. Superchargers will always be the best alternative for performance enhancement, not only for the more exclusive vehicles but also for mass produced engines in automotive and marine applications.